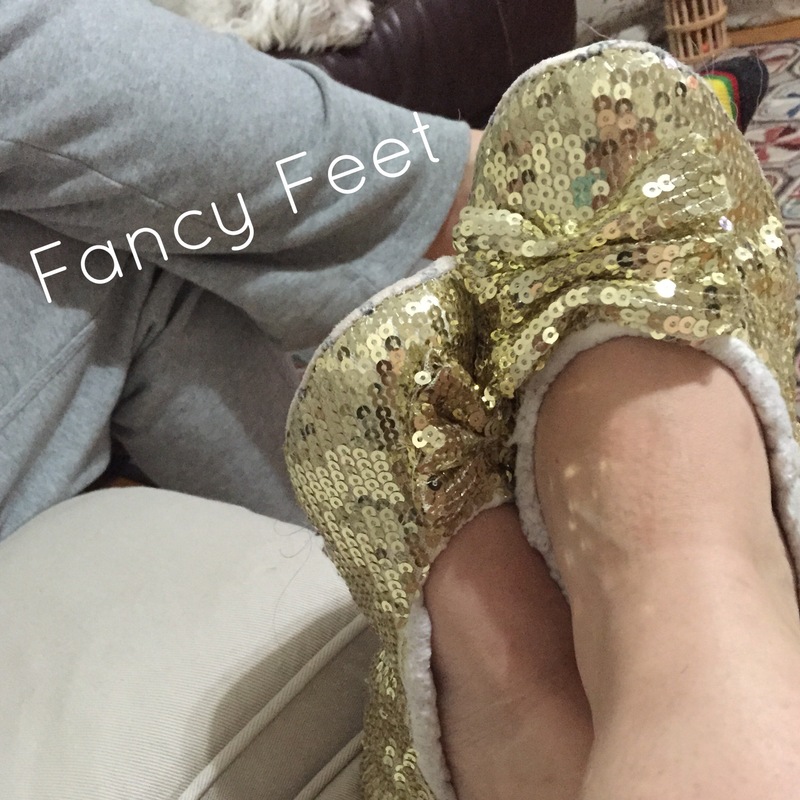 Wearing my sparkly gold slippers in honor of the Oscars… Don’t think these slippers are going to make it through the whole show though… Mama’s tired. Are you watching? What do you think?